Bitumen Emulsion Process - GlobeCore Bitumen Emulsion. In practice, a special device known as colloid mill is used to obtain bitumen emulsions. The bitumen emulsion process is as follows: The hot bitumen and water phase mixture passes between the rotor and the fixed stator of the colloid mill. The rotor, as well as the stator, may have specially cut teeth or grooves in order to create an additional turbulent flux. The batch aggregates perform at least two functions: preparation of the water phase and direct preparation of the emulsion. The water phase is prepared in a special tank. During the stage of bitumen emulsion production, the water phase and the bitumen are fed into the colloid mill in accordance with the approved ratio in accordance with the receipe. The accuracy of component dosing has a decisive influence on the quality of the resulting material. It is more preferable to use closed metering systems due to the fact that some supplements can be dangerous to human health The continuous operation provides water heating and dosing of all components in continuous mode. For this purpose each component has a separate dosing pump. A lack of batch tanks is one of the fundamental distinctive features of such equipment. This is achieved through the retrofit of a water phase feeding system. The system provides the necessary time interval for the reactions to occur between the involved chemical additives. These additives should be neutralized and dissolved by the moment of the bonding of the water phase and bitumen. The continuous bitumen emulsion process should be carried out in automatic mode. All materials, except acid, are monitored by flow meters. Acid supply is adjusted by controlling the water phase pH level. 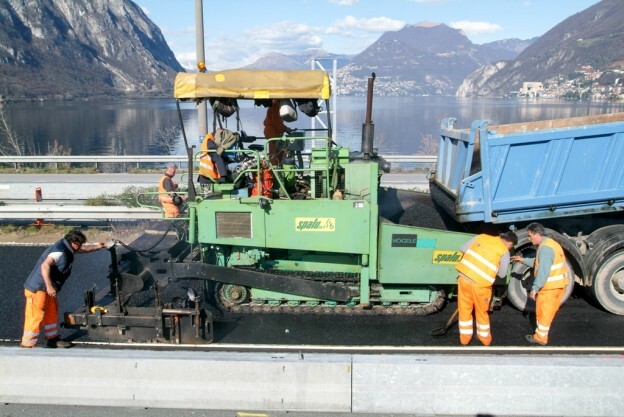 Special polymer modifiers (latex and SBS-polymers) can be used to add the desired properties to the bitumen emulsion. This bitumen emulsion process requires the retrofit of the bitumen emulsion aggregates and the implementation of applicable technical solutions.